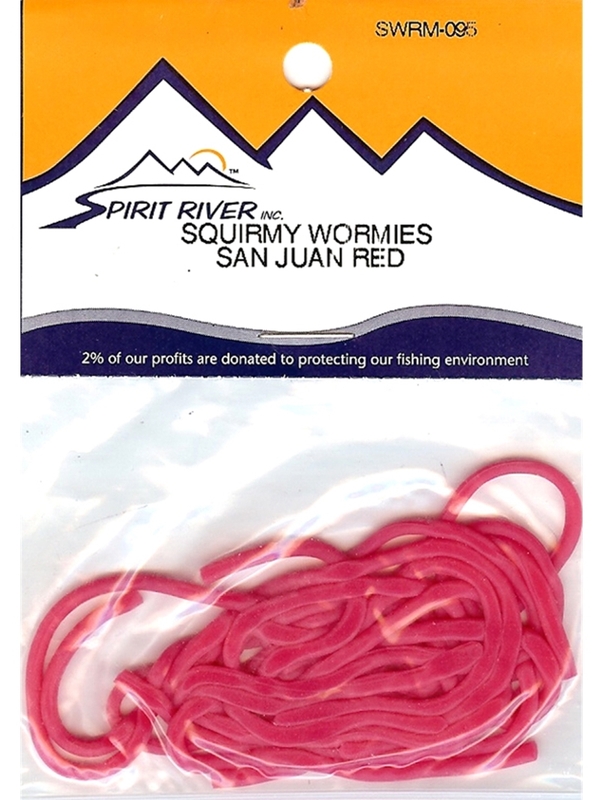 Use in place of Vernille on a San Juan Worm and watch your fly come to life. This stuff "wiggles" in the water like a conventional San Juan worm can't! Did you ever think that they could improve on the San Juan worm? Spirit River may have.......Squirmy Wormies material has taken this fly to a new level. Squirmy Wormies are StrongStretch round rubber "legs" that are most often used to imitate a worm pattern. Use in place of Vernille on a San Juan Worm and watch your fly come to life. This stuff "wiggles" in the water like a conventional San Juan worm can't! We have also been using them to wrap as bodies creating some simple, grub like flies. Each pack of Squirmy Wormies comes with 10 5 1/2" pieces.